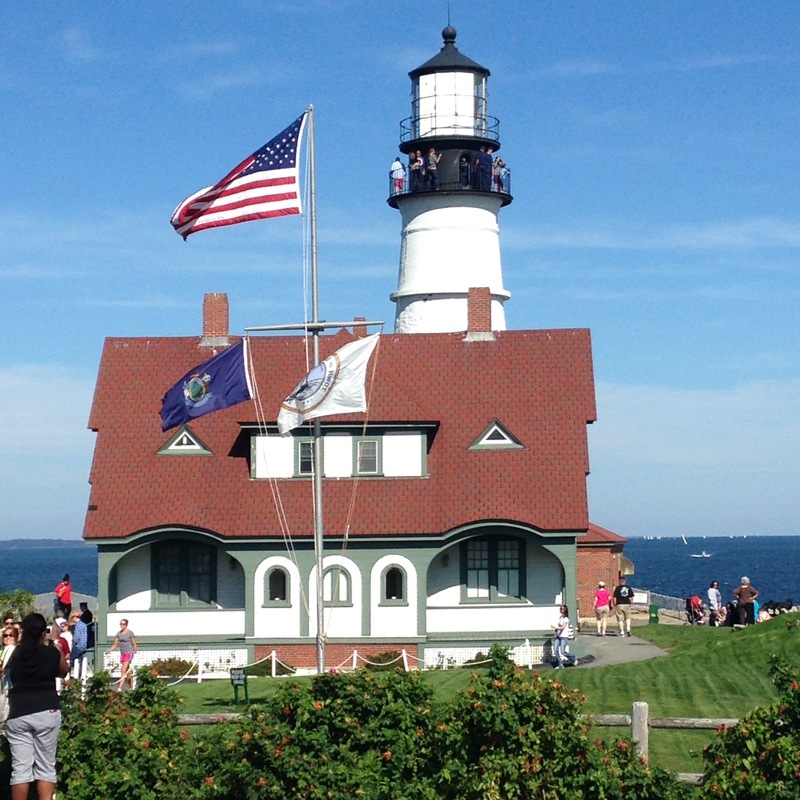 Today’s ride: The Maine Lighthouse Ride is run by the Eastern Trail Alliance in Southern Maine. 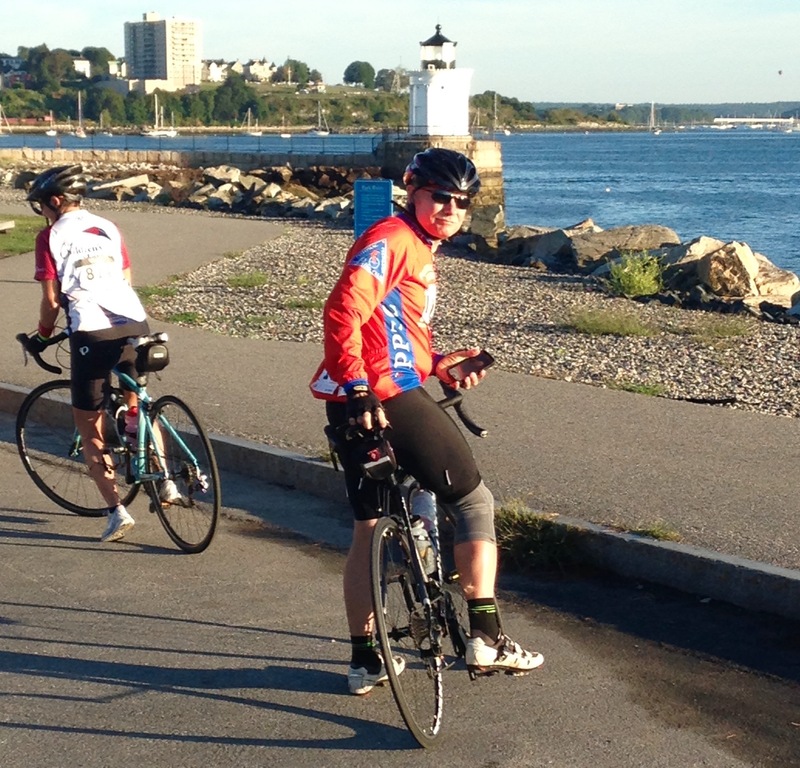 The ride starts in South Portland at Southern Maine Community College overlooking Casco Bay, and runs through towns such as Old Orchard Beach, Saco and Kennebunkport. 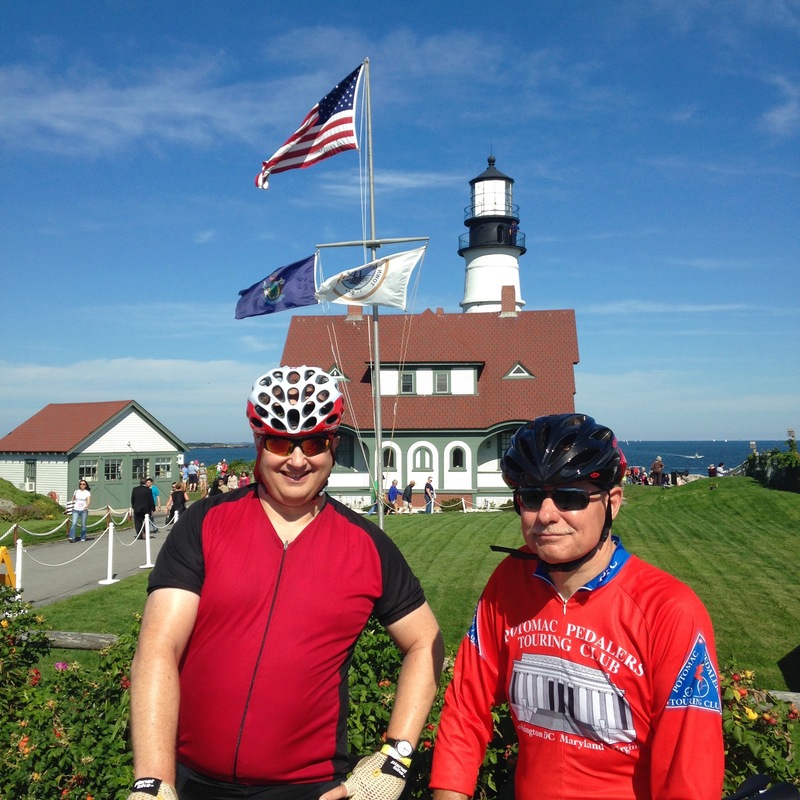 The ride goes past several lighthouses along the southern Maine coast. This ride was listed as one of the the most scenic centuries by Active.com, and it lives up to it’s reputation. The ride is limited to 1200 participants, and it fills up every year. Riders have to sign up early. This is a very well organized ride. The Maine Lighthouse Ride includes some multi-use trails at the start of the ride which have a limited capacity, so some crowding will happen at the start. It also includes a section of gravel causeway over the Scarborough marsh south of Portland, but this shouldn’t be a threat to road bike tires if you ride carefully. However, I recommend that you be sure that your tires are in good condition before the ride. The Experience: This year I resolved to leave the Washington DC area for at least one ride, and I liked the description of the Lighthouse Ride, so I convinced my friend Ron, who is always up for a new bike ride, to join me. The weather was wet on the drive north, but the day before the ride cleared up quickly. Saturday turned out to be a picture postcard day – temperatures in the mid 70s, light winds, and clear skies. The ride has a mass start, and the first two lighthouses on the ride were right at the start, so there was some crowding to start. Among the riders were 68 riders of all skill levels from Iowa, who were riding for charity. While charity riders are often inexperienced and sometimes get in the way, this group was careful, and on the bike path in Portland they picked up my habit of calling out when we were slowing or stopping at crossings. It wasn’t long before Ron and I found our way onto open roads and picked up some speed. The Scarborough marsh causeway challenged us, and while many riders didn’t adjust for it, Ron and I rode it carefully. There were a few riders who had a flat, but we reached the short climb after the marsh safely, and picked up the pace to get some separation from the bulk of the other riders before the first rest stop. After the first rest stop we had left most of the other riders behind us. We headed south over good roads toward Kennebunkport. 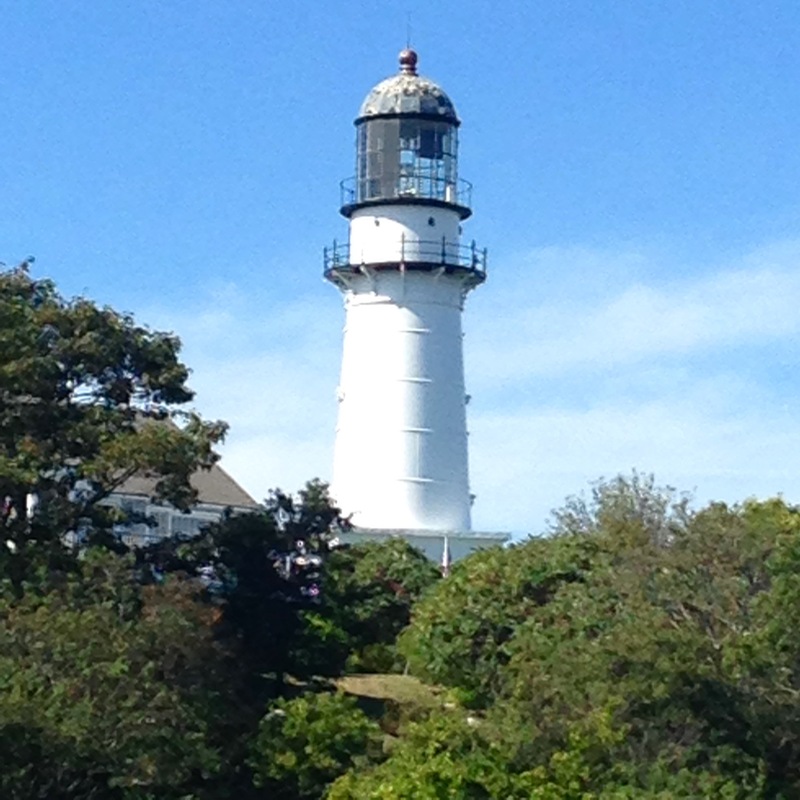 after the second stop, (and a brief halt in Kennebunkport), we headed back north along the coast. The road twisted and turned along the rocky coastline, and even without the lighthouses the ride was interesting, varied and challenging. The ride was flying by. We went back over the Scarborough marsh causeway, and I was concerned about a flat, but thankfully we didn’t have any problems. Near the end of the course we went through a park with a short, steep climb – but we came over the top to the final lighthouse of the day, the Portland Head light, and a great photo opportunity. We rode back to the start and right to the beer garden, where we celebrated with local Shipyard ales. We were told that the ride had over 3000 feet of climbing, but the climbs were short and I thought we’d only climbed half as much as we did. 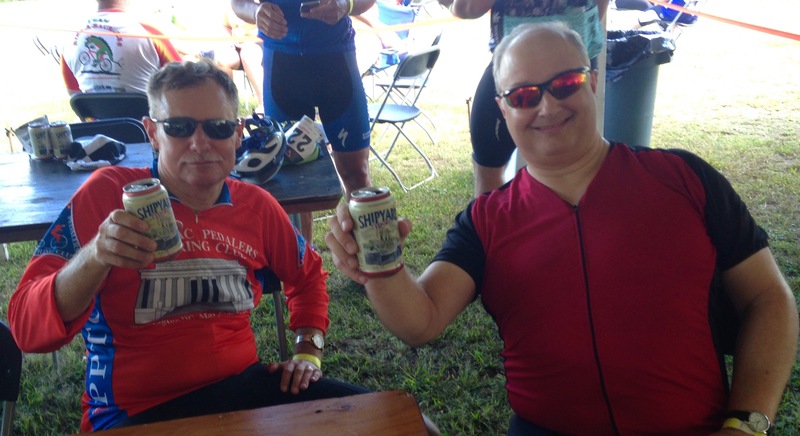 I think the 2015 Lighthouse Ride was among the best if not the very best century I’ve ridden. It was a feast for the eyes, the terrain was interesting, and of course conditions were perfect. It’s the kind of ride I’d go to every year, even if the conditions were rainy or hot. Some rides are going to be memorable no matter what the conditions will be. The Lighthouse Ride made a very positive impression. Selections from my mental iPod during the ride: “Just Like Heaven” by The Cure, “Cynical Girl” by Marshall Crenshaw, and “Cliffs of Dover”, an instrumental by Guitar Hero Eric Johnson. Statistics: 102.24 Miles on a perfect day, coupled with a great course and scenery to match. Ron at the “Bug” light in Portland Harbor. The two of us at Portland Head Light. At the Beer Garden after the ride, celebrating with the local ales! 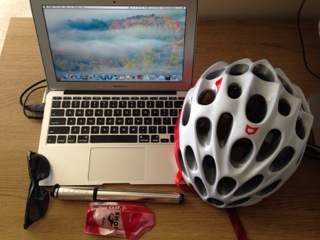 This entry was posted in Cycling, Front Page on September 29, 2015 by kitefencer.